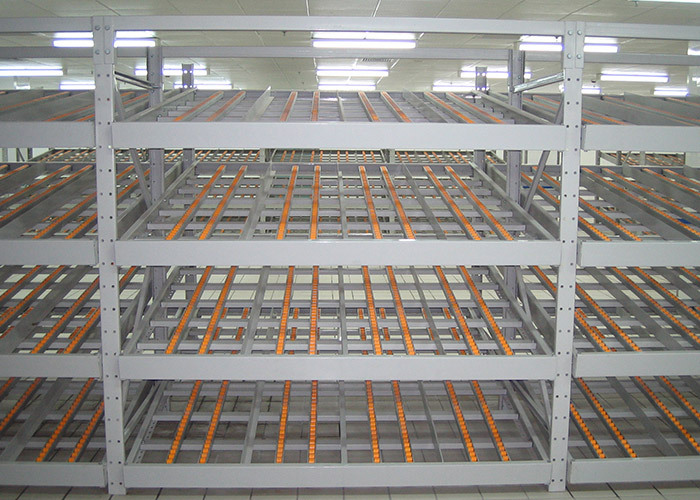 Carton live racking is evolved from medium duty rack. 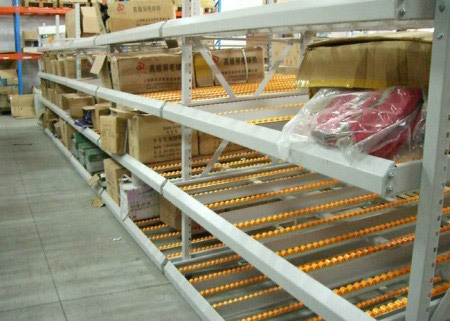 It transports goods from the distribution end to the picking end through the raceway, and the goods automatically slide down by gravity to achieve "first in, first out" operation. 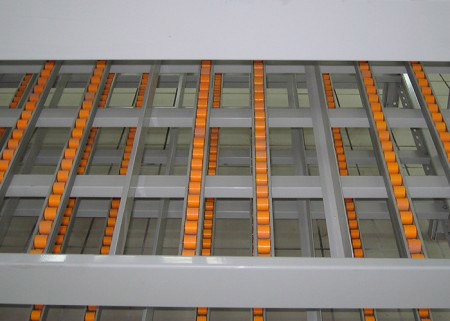 The use of cost is low,storage is fast and high density. It is usually used in the lean production process of a company. 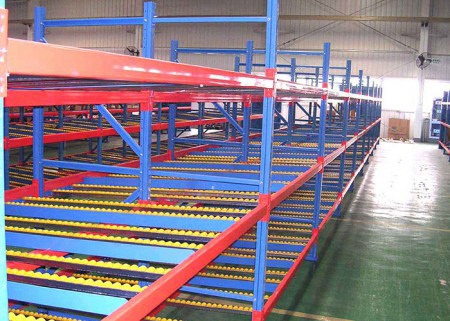 Carton live racking adopts a roller-type aluminum fluent strip, which is placed on a certain slope. 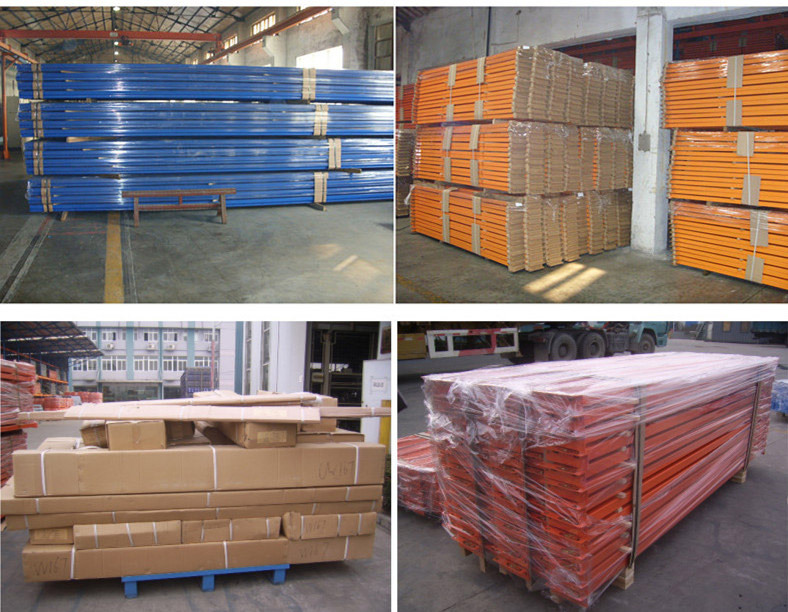 The goods are usually paper-packed and the goods are placed in a plastic turnover box. The goods flow and the first-in-first-out are realized by using their own weight. The goods are transported by the trolley,accessed by manual Conveniently. 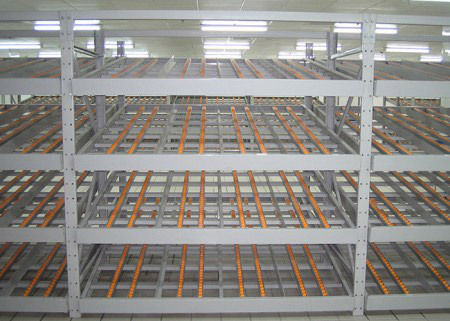 Unit rack load capacity per layer is usually around 100kg, height of rack is usually within 2.5 meters and the product is placed in a few grids. One dedicated loading face and one retrieval face – speed of operation in movement of goods around warehouse. 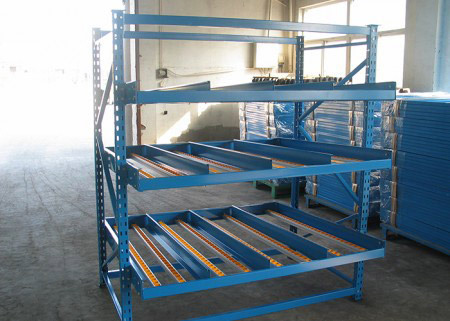 Adopting gravity roller sliding support,no need of other driving devices,reducing cost effectively.